I came across this reading survey by Perpetual Page Turner, and even though it’s February, I couldn’t resist doing it for 2014. Lots of book recs ahead! 1. Best Book You Read In 2014? 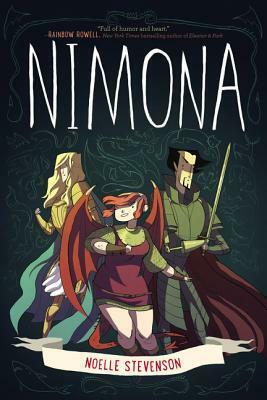 A full list is here, but my favourites were Nimona by Noelle Stevenson, A hero at the end of the world by Erin Claiborne, and Grasshopper Jungle, by Andrew Smith. All very diverse, and YA/NA. 2. Book You Were Excited About & Thought You Were Going To Love More But Didn’t? Ayoade on Ayoade by Richard Ayoade. Ayoade is one of my favourite comedians, so I was expecting to find this hilarious, but it sticks to the same joke (him interviewing himself) the whole way through, and it quickly got grating. There was no actual content beyond the satire. 3. Most surprising (in a good way or bad way) book you read in 2014? Ready Player One by Ernest Cline. I’m not into video games, so I wasn’t expecting to fall in love with this book as much as I did. 4. Book You “Pushed” The Most People To Read (And They Did) In 2014? 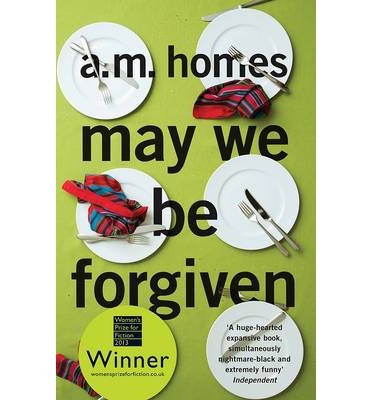 May We be Forgiven by A. M. Homes. I read this when I was working my way through the Bailey’s prize winners, and it was so brilliant I told everyone I knew to read it. I think 3 or 4 people did. 5. Best series you started in 2014? Best Sequel of 2014? Best Series Ender of 2014? The Magicians by Lev Grossman was the best new series (EXCELLENT- a cross between Narnia and Harry Potter), and the best series finale was Clariel by Garth Nix. The only sequel I read in 2014 was The Ask and the Answer by Patrick Ness, which was a very stressful read. I have the final Chaos Walking book, but I can’t bear to go through the trauma of reading it just yet. A great series about war on a new planet. 6. Favourite new author you discovered in 2014? A. M. Homes. I’ve also read Music for Torching, which was just as excellent. Brilliant Breaking Bad levels of family collapse and drama. 7. Best book from a genre you don’t typically read/was out of your comfort zone? I don’t usually read any horror, but Horrorstör by Grady Hendrix was absolutely incredible. Brilliantly scary, and kudos to the great design of the book, which looks like an Ik ea catalogue. 8. Most action-packed/thrilling/unputdownable book of the year? 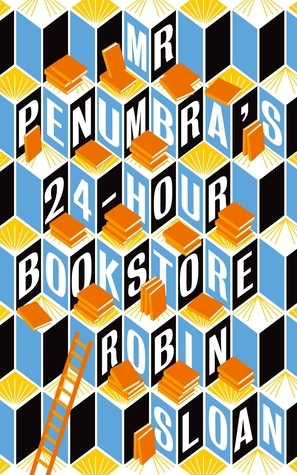 Mr Penumbra’s 24 Hour Bookstore by Robin Sloan, which is just…I have no words to describe this book. Incredibly fast paced eery literature thriller. 9. Book You Read In 2014 That You Are Most Likely To Re-Read Next Year? Haha, The Next Together by Me, Lauren Never-Going-To-Stop-Editing-This-Book James. 10. Favourite cover of a book you read in 2014? 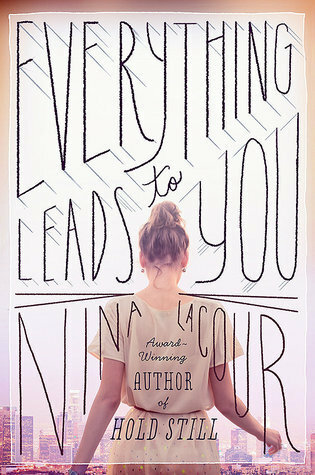 Definitely Everything leads to you by Nina LaCour. I still get this book off my shelf just to stare at it occasionally. 11. Most memorable character of 2014? Charles Maxim from Rooftoppers by Katherine Rundell. 12. Most beautifully written book read in 2014? Under Milk Wood by Dylan Thomas. You can’t read this without whispering the words under your breath. Excellent. by Robin Talley. Tackles homophobia and sexism and racism and bullying and bravery and is absolutely life-changing. 14. Book you can’t believe you waited UNTIL 2014 to finally read? My Man Jeeves by P. G. Wodehouse. I adored the tv series, so I don’t know why I didn’t immediately start reading the books at the time…but I’ve since more than corrected my mistake. I now have Jeeves and Wooster Opinions, especially on the Sebastian Faulks sequel. Grrrr…. 15. Favourite Passage/Quote From A Book You Read In 2014? Basically any line from The Bookshop by Penelope Fitzgerald. 16.Shortest & Longest Book You Read In 2013? Shortest was probably The Fir Tree by Hans Christian Andersen, and the longest was either Middlesex by Jeffrey Eugenides or The Age of Innocence by Edith Wharton. At least, they felt the longest. 17. Book That Shocked You The Most. 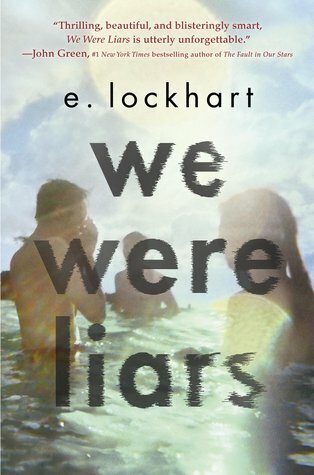 Obviously, obviously it’s We Were Liars by e. lockhart. Best plot twist of ever. 18. OTP OF THE YEAR: Ewan/Oliver from A Hero at the End of the World by Erin Claiborne. I spent a good day and a half just solidly squeeing with Alice Oseman about this pairing. Urgh. So good. 19. Favorite Non-Romantic Relationship Of The Year: Evie and her dragon from The Bone Dragon by Alexia Casale. 20. Favorite Book You Read in 2014 From An Author You’ve Read Previously: The Paying Guests by Sarah Waters. There are a lot more questions, but I’m all linked out, so I’ll leave this at 20 questions! I highly recommend doing this survey, it was a lot of fun. 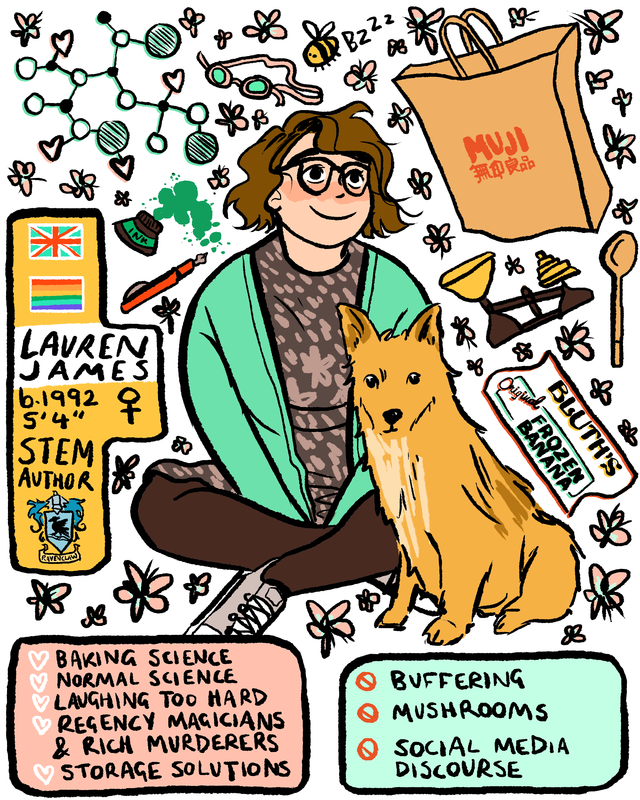 This entry was posted in book recommendations on 15/02/2015 by Lauren James.